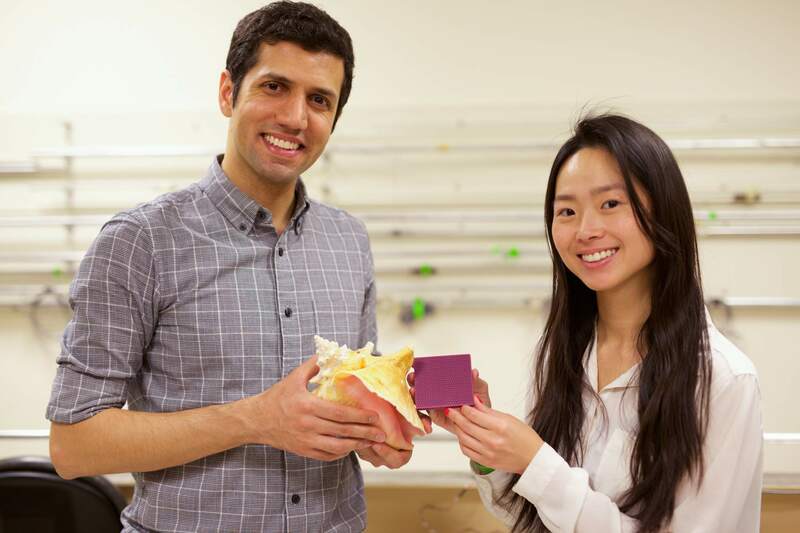 MIT have used 3D printing to replicate the innate toughness of a conch shell. 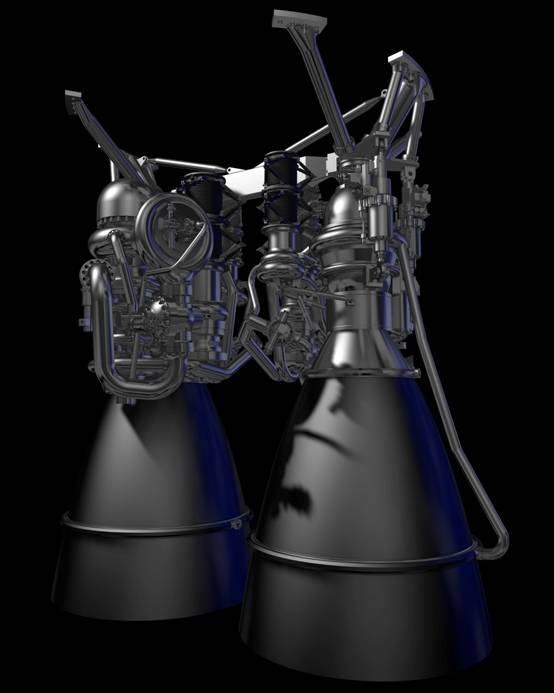 Aerojet Rocketdyne has reported two significant milestones have been reached in the development of the 3D printed AR1 rocket engine. Following successful hot fire tests, the engine also completed its Critical Design Review (CDR). As a result, the AR1 engine is on track for certification in 2019 in its bid to replace the Russian made RD-180 rocket engine. The RD-180 is currently used to launch most U.S payloads into space. 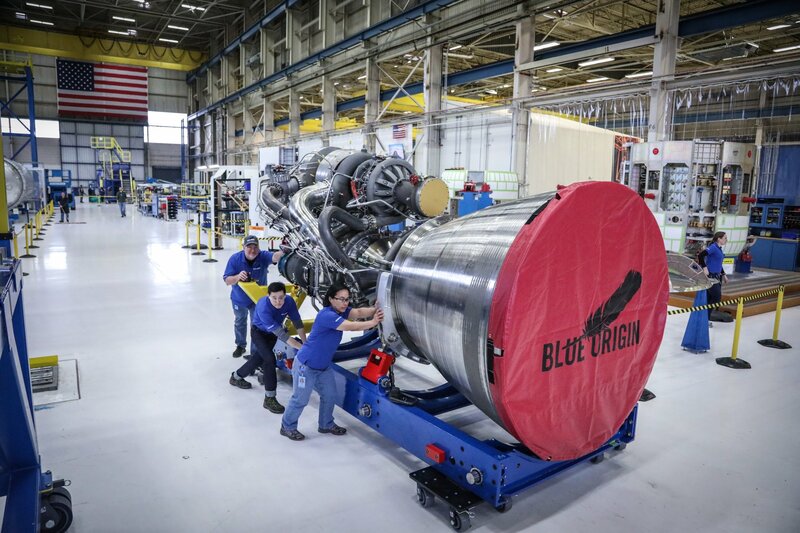 However, Aerojet has significant competition in the form of aerospace manufacturer Blue Origin and its BE-4 engine. 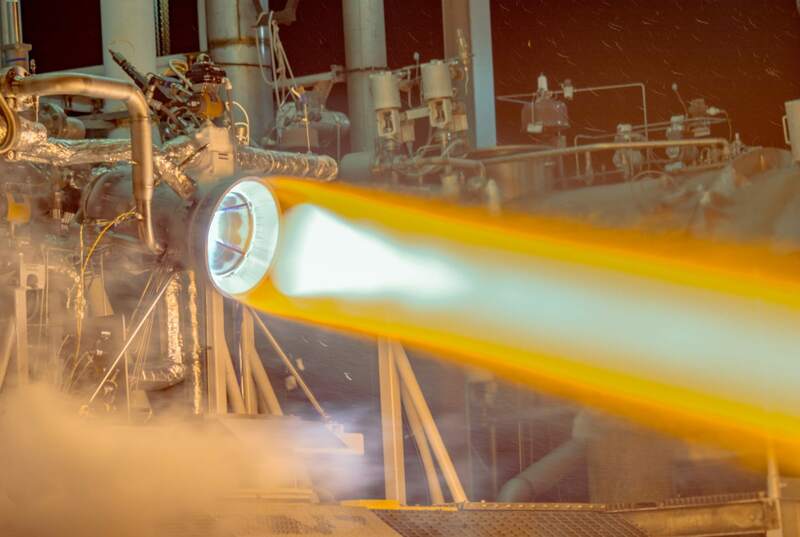 Aerojet Rocketdyne is certainly familiar with additive manufacturing as the space company recently 3D printed a copper thrust chamber for its RL-10 rocket engine. The thrust chamber also reached an important milestone of its own by passing hot-fire testing. 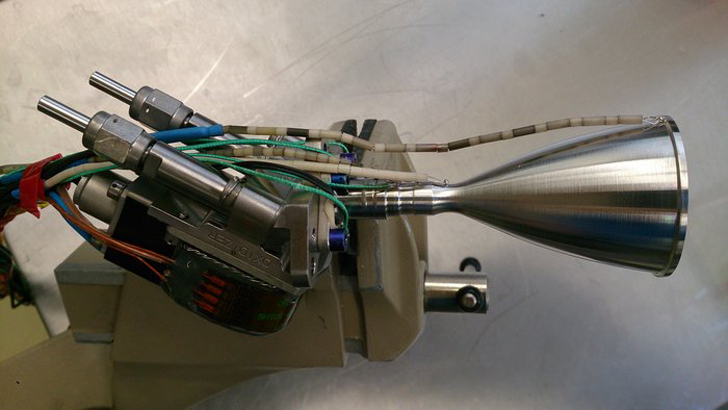 On the other side of the scale, an MIT Rocket Team managed to fire a 3D printed plastic rocket created on an FDM printer. Mondaloy 200™ alloy is the perfect material to use in the AR1, particularly when combined with 3-D printing, because it eliminates the need for exotic metal coatings currently used in the Russian-made RD-180 engine that the AR1 is designed to replace. To complete the Critical Design Review Aerojet Rocketdyne had to validate its production processes, including the use of 3D printing. With the technology often cited as difficult to certify in comparison to conventional manufacturing techniques, if not purely for the fact it is more contemporary, passing this milestone was a significant feat. In order to pass the review, Aerojet Rocketdyne may have benefited from its recently announced partnership with Sigma Labs. Sigma Labs is the creator of PrintRite software which can certify additive manufactured parts thereby making validation easier. By passing this latest CDR, the engine design team has now completed 22 component reviews leading up to the final engine qualification aimed for 2019. It took awhile, but those sci-fi dreams of yesteryear are starting to take shape today. The New Space industry is just starting to get off the ground, with the first commercial 3D printer headed to the ISS as we speak and Enterprise In Space working to lay the groundwork for New Space education. Further driving the New Space space is Rocket Lab, whose 3D printed, battery-powered electric engine is the first new rocket propulsion system developed in 50 years. 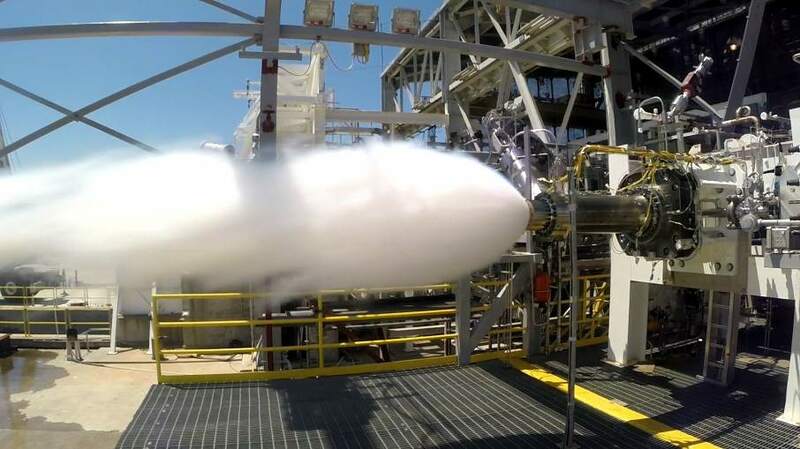 Now that the company has completed qualification tests of its small launch vehicle, Electron, Rocket Lab is set to send the first 3D printed rocket engine into space in the middle of this year. The two-stage Electron spacecraft is designed to carry a payload of 150kg into Earth orbit, making it ideal for small satellites. The heart of Electron is its 4,600lbf Rutherford liquid engine, which uses lithium-polymer batteries to power brushless DC motors to drive liquid oxygen and kerosene propellants into the combustion chamber. The first stage relies on nine of these engines, while the second stage uses only one Rutheford with an extended nozzle. To create the thrust chamber, injector, turbopumps, and main propellant valves, Rocket Lab relied on Arcam’s electron beam melting technology, 3D printing the components from titanium alloys. Though most of the cost savings come from the use of the electric battery, altogether these innovations have reduced the cost of launching the rocket to just $4.9 million per launch (compared to SpaceX’s $54 million and ULA’s $225 million). These savings could potentially be passed onto the customer, making it less expensive to send small payloads into space. The news is important, to say the least. With numerous companies changing the way that we get to (and from) space, we’re about to see the evolution of a completely new era of space travel, commerce, and even civilization. Now, if only we could all stop fighting about what drives us apart and start focusing on what brings us together, we could meet some aliens by the end of 2030. Who’s with me? 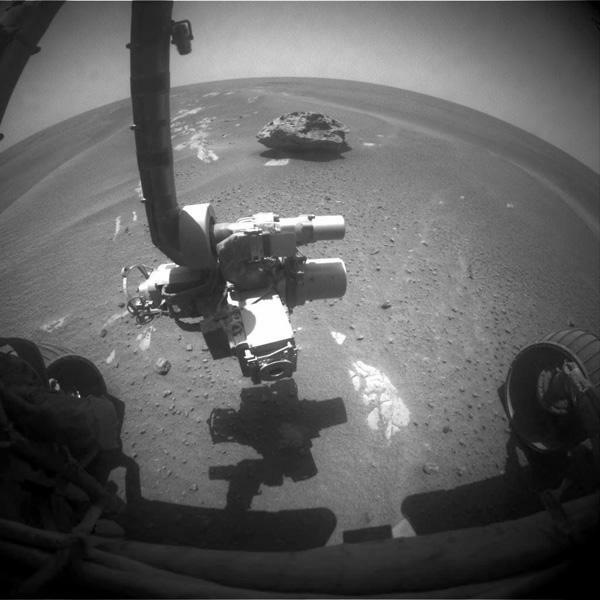 Back in 2009, scientists detected an odd-shaped rock by the Mars Exploration Rover Opportunity’s panorama camera. NASA’s Jet Propulsion Lab (JPL) team spotted the rock, now called Block Island, in the images downlinked to Earth after it had driven past the rock. The rover backtracked some 820 feet to study Block Island closer, eventually touching the rock with its robotic arm. The image showed a rock approximately 2 feet in length and half that in height, with a metallic bluish tint that distinguished it from other rocks in the area. Upon further analysis scientists discovered that Block Island was a meteorite comprised of iron and nickel. A portion of Block Island’s surface indicated exposure when a meteorite is abraded, polished, and etched by windblown sand. 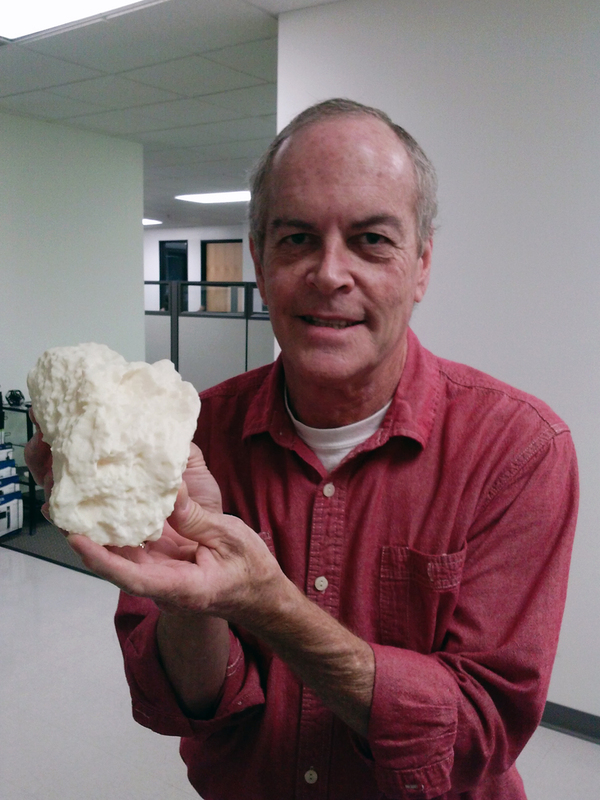 JPL decided to 3D-print the meteor using its Stratasys Dimension 1200 printer. The final result was a realistic-looking, true-size facsimile of a Martian meteorite. This 3D-printed meteorite is the first of its kind, made from precise measurements by a rover on Mars. 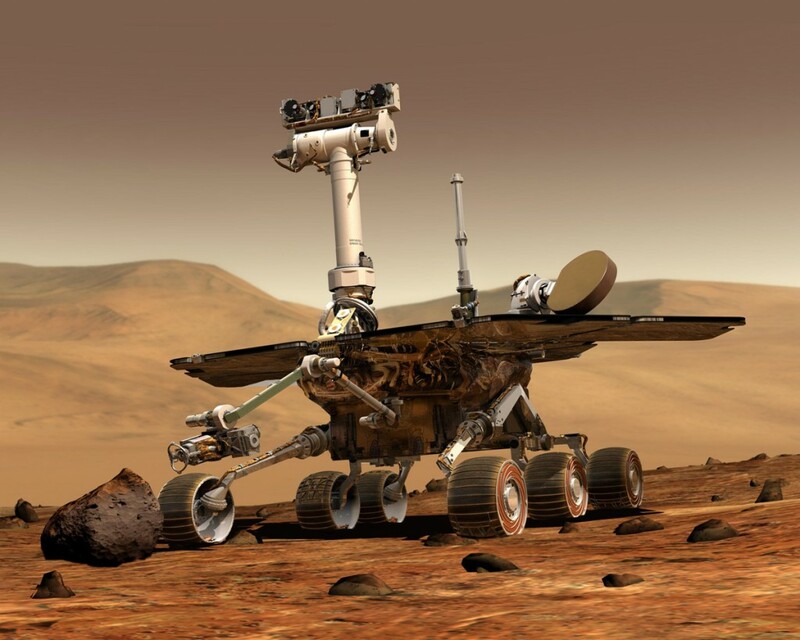 It potentially opens the door to other detailed models of objects and terrain on Mars or elsewhere in the solar system. 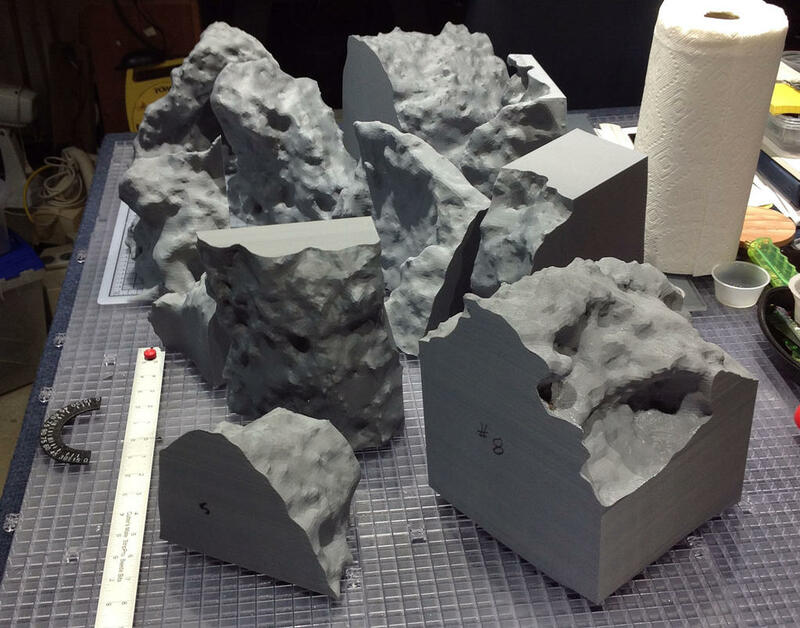 Researchers leveraged software, generally used to help navigate the rover, to create depth meshes of the meteorite’s surface from six positions and combined them into a three-dimensional digital model. Block Island was much bigger than the 3D-printer’s build envelope, so JPL researchers broke the computer model of the meteorite into 11 sections. It took over 305 hours to print the parts. Materials included 281.11 cubic inches of acrylic thermoplastic media, along with 37.29 cubic inches of plastic support media to form the support structure inside the rock model. Researchers then assembled the parts and painted the model to match Block Island’s color based on images from the rover. For the JPL team, it’s the next best thing to bringing real Martian rock samples back to Earth. Space agencies around the world are making use of 3D printing to save precious weight and costs, whether it be in space or launching off the ground. 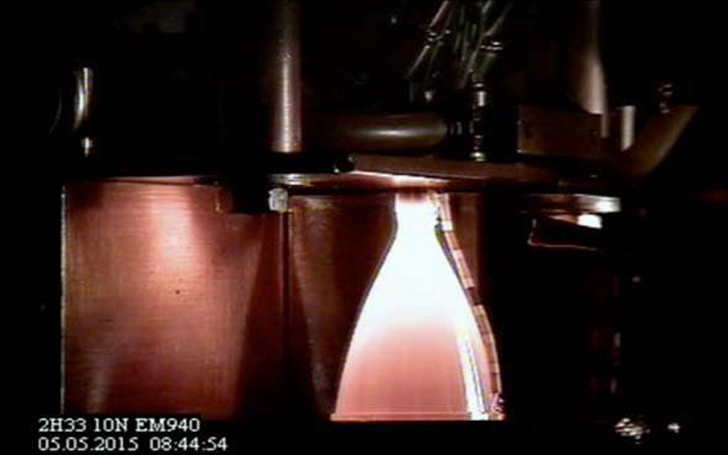 And, today, the European Space Agency (ESA) performed the world’s first hot fire tests of a 3D printed platinum combustion chamber and nozzle for a spacecraft thruster. The combustion chamber for the 10 N hydrazine thruster was 3D printed in a platinum-rhodium alloy at the Airbus Defence & Space facility in Lampoldshausen, Germany, as a part of the ESA’s Additive Manufacturing Technologies for Advanced Satellite Thrust Chamber (AMTAC) project, with the Fraunhofer Institutes of Laser Technology and Machine Tools and Forming Technology overseeing the 3D printing process. With each small part that is 3D printed and survives such a test, the greater likelihood that we’ll see more and more spacecraft components made with 3D printing. Though it’s still some ways off, it’s not unlikely that, in the future, we may even see the majority of a spacecraft’s parts made with such a process. 3D printing for vintage car restoration? Yep. 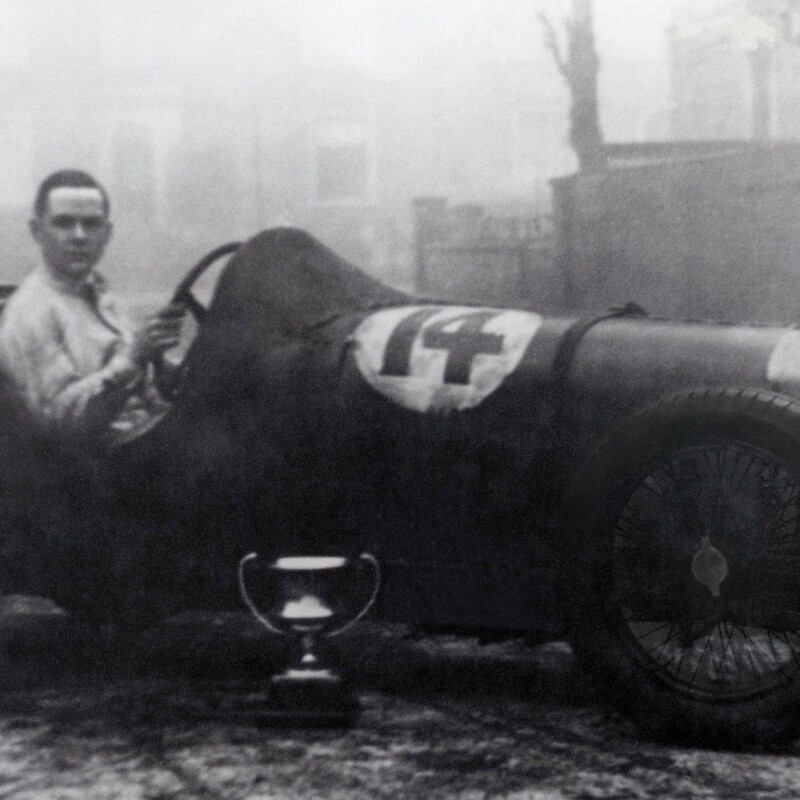 UK-based KW Special Projects (KWSP) and its sister company KW Motorsports have teamed up to restore a historic 1927 French sports car to peak condition using additive manufacturing. The 1927 Amilcar C6 in question was built with an extended selector housing, an upgrade from the original design of the car, possibly reworked in order to make driving more comfortable for the owner. 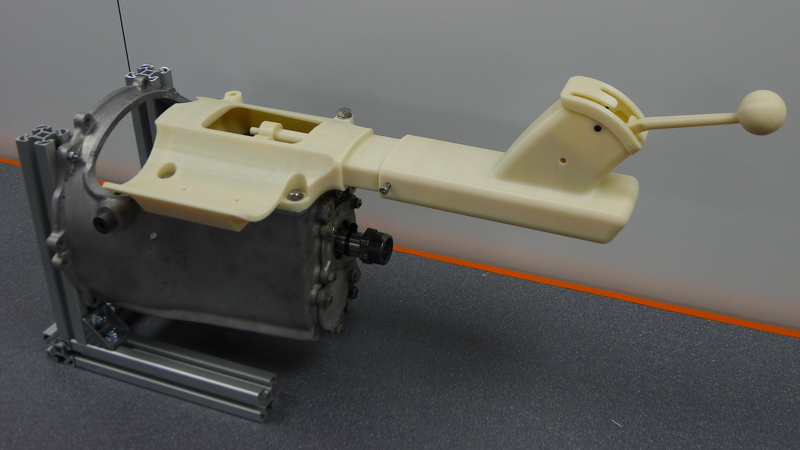 When the restoration experts at KW Motorsports and KWSP were confronted with only a old black and white photo of a missing gear selector housing, engineers used their engineering expertise and 3D printing systems to design and manufacture the missing parts. “This was a unique project that demanded not only technical know-how of the latest AM techniques, but also creativity and intuition” , says Kieron Salter, managing director of KWSP. 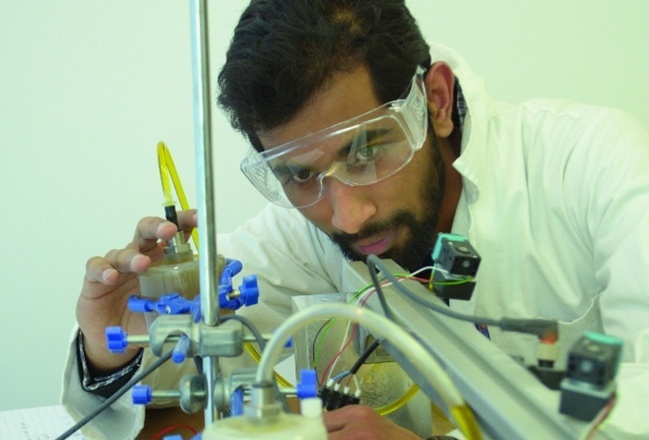 He continues, “Using Additive Manufacturing instead of conventional manufacturing methods, our engineers were able to design and make parts quickly and cost effectively using 3D printing technology. This approach enabled us to fit a printed prototype into the actual vehicle to ensure it met with the design brief, fitted perfectly into the cockpit and also gained the owner’s approval. The combination of technologies used to print these parts involved not only 3D printing but also an innovative use of aluminum casting and CAD design. Without the flexibility of 3D printing technology and design these parts would likely have been too costly and complex to attempt. This unique effort is an excellent example of the use of creative technological solutions to restore, reproduce or repair valued objects from our past. While we’ve covered numerous stories about 3D printing used to get prostheses to those in need, including exoskeletons, the field of 3D printed-based human augmentation for the abled community (and disabled community alike) is only just beginning. And Alex Czech, based in Melbourne, Australia, wants to be a pioneer in this field by creating a full-scaled 3D printed exoskeleton. 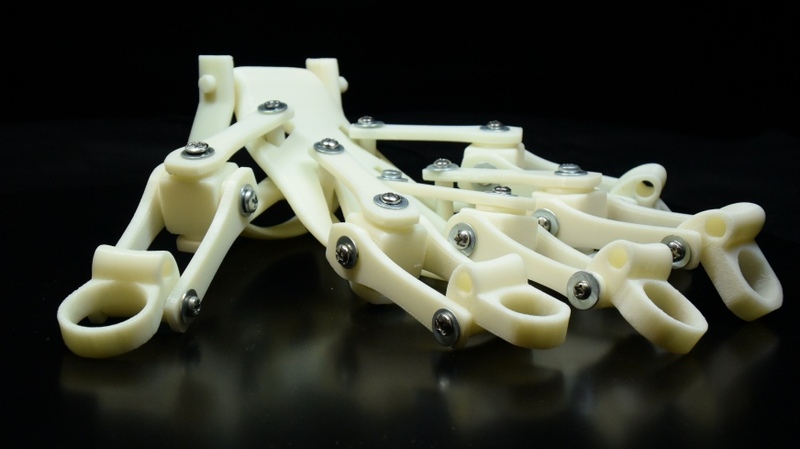 But, before he can create an entire suit, he’s beginning with a 3D printed exoskeleton hand. 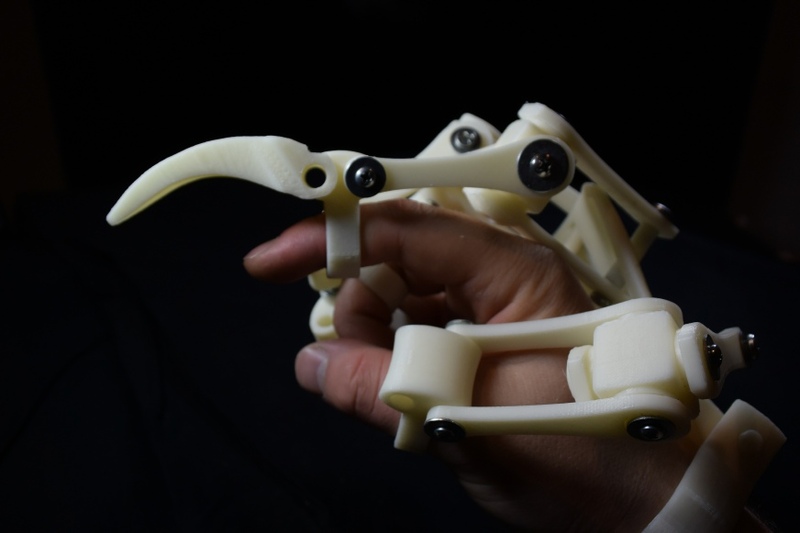 Alex tells me that, when he isn’t working in Investor Relations, he has been spending his time on a 3D printable exoskeleton hand, “I was working on designing my own universal joint which developed into the hand. I had the idea to create it because no one else had yet designed a complete exoskeleton that you could 3D print (that I am aware of).” In addition to the screws used to hold it together and metal washers used for strength, the hand is made up of 13 unique parts, some printed multiple times, which Alex fabricated in ABS on his Up Plus 2. In total, the entire hand took 18 hours to print with a material cost of only $8.16, including support material. Altogether, the hand weighs 173 grams. At the moment, the hand is in the nascent stages, Alex says, but, really, it’s just the beginning, “Currently the hand is just for looks but the future design will incorporate DC motors. My ultimate goal is to design a complete exoskeleton body suit that can be 3D printed.” So, what might look like a piece of cosplay in the video below, is really a platform for augmenting the human body. You’ll see attachments for the hand, including claws and protective shielding, but such modules open up a new look at human development, often envisioned by transhumanists. In the industrial world, real attempts at developing exoskeletons are underway, with some firms envisioning the ability to increase the strength of firefighters and soldiers. Though Alex may ultimately release a similar suit, his hand itself could be used for labor of all types. One might imagine a shovel module for landscaping or clearing debris, added fingers/claws for gripping more objects at once, or carabiners for mountain climbing. And Alex’s exo-hand might work in tandem with Onyx Ashanti’s exo-foot. As more stories like Alex and Onyx’s find their way into the public, the 3D printing transhumanist community may start to flourish, paving the way for a very different sort of human evolution than what we’ve seen up until now. The files for Alex’s hand are available for download, so if you want to beat the rest of us to the next stage in human evolution, you can begin here. Last year, 3DPI got an on-the-ground look at the Strati 3D printed car as it took its first test drive around the IMTS trade show in Chicago. While not the first 3D printed car, Local Motors’ Strati demonstrated a proof of concept for their direct digital manufacturing model, in which consumers might design custom vehicles to be 3D printed by large format 3D printers designed by Oak Ridge National Laboratory and Cincinnati, Inc. And, with Oak Ridge ready to push the size, speed, and cost savings of their original machine, Local Motors is ready to begin rolling out their business model with two car printing facilities this year. As we’ve seen with house printing, China is not one to be outdone. Seeing the US and other countries 3D print large structures, a company called WinSun went on to 3D print an entire apartment building and mansion. 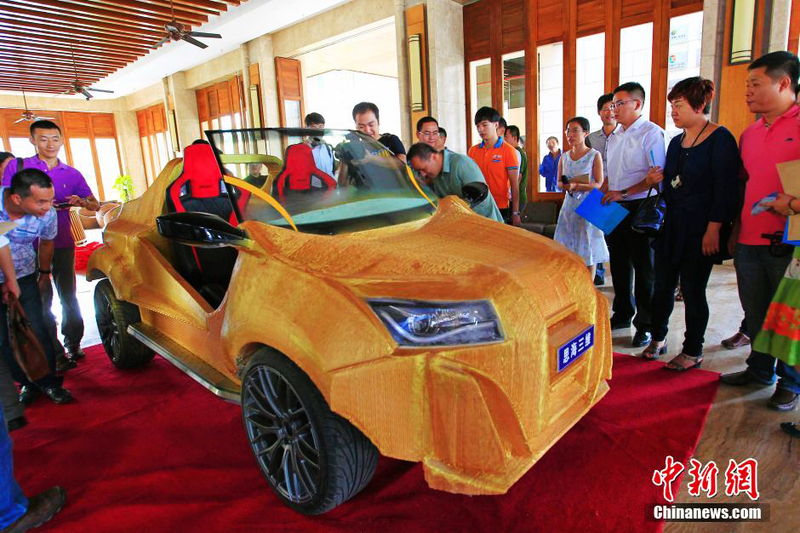 Now, according to ChinaNews.com, a company called Sanya Si Hai 3D Technology, Ltd. has 3D printed the country’s first car, dubbed “Shuya”, after the city in which it was made. The frame of the car was 3D printed with a composite material in just five days in color with the colorful name “Tyrant Gold”. Weighing approximately 500 kg, including the car’s non-printed components, the Shuya is capable of reaching speeds up to 40 km/hr, driven by an electric motor. The car required 500 kg of the Tyrant Gold material to fabricate. At about 10 yuan per kg and with 1000 yuan for electricity and labor, the total cost of the vehicle was about 11,000 yuan ($1770) to create. The auto measures 3.6 meters long, 1.6 meters wide and can seat two passengers. 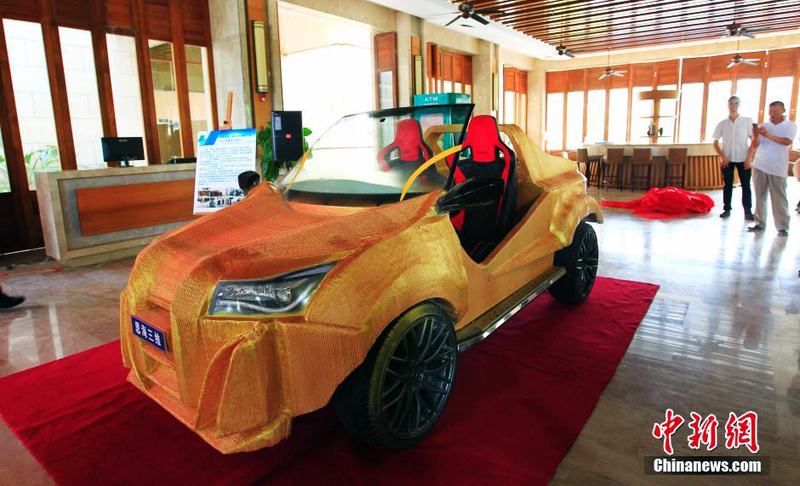 Sanya Si Hai 3D Technology’s own 3D printed car took more than twice as long as the Strati, which the BAAM hybrid 3D printer and CNC router was able to fabricate in just 44 hours. Still, the company’s equipment is pretty heavy duty and was big enough to 3D print an entire boat. And, anyway, who can resist a car that can be printed in Tyrant Gold? 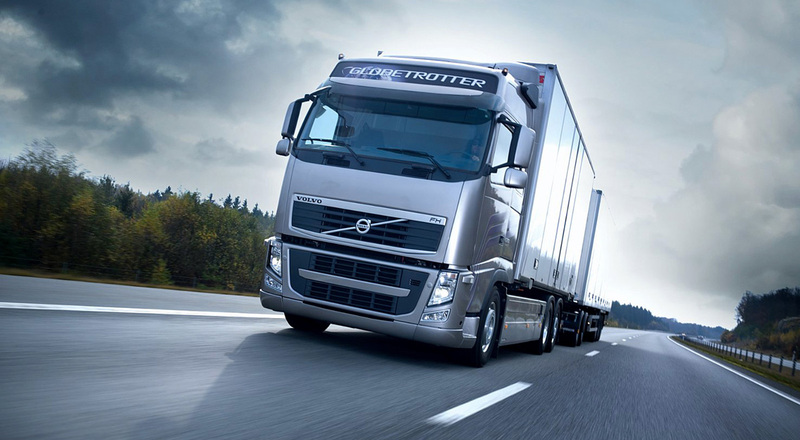 Stratasys announced an interesting fact with respect to the effects of 3D printing on industrial supply chains: Volvo Trucks is experiencing dramatically decreased turnaround times of assembly line manufacturing tools. Since using Stratasys 3D printing technology at its engine production facility in Lyon, France, the turnaround times have dropped by more than 94%! Volvo’s’ Lyon engine plant builds various engines for Renault Trucks, which the Group bought in 2001, as well as their own trucks. Pierre Jenny, the manufacturing director at Volvo Trucks, says that the time needed to design and manufacture specific metal tools dropped from 36 days to just two days when printing the tools in thermoplastic ABSplus with its Stratasys Fortus 3D Production System. These dramatic gains obviously help increase the facility’s overall efficiency, not to mention that 3D printing has saved additional costs by reducing waste. From a financial perspective, Jenny estimates that, where highly customized or a low volume of tools is concerned, the cost benefit per centimeter cubed is the following: 1€/cm3, compared to 100€/cm3 if making the same object or tool from metal. 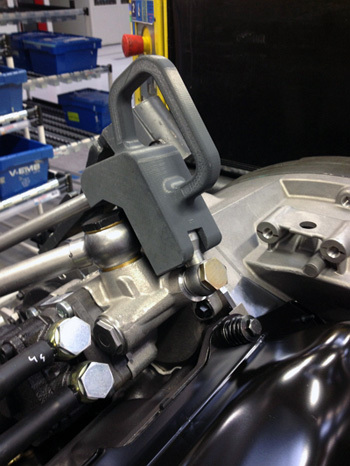 Volvo Trucks contacted the Stratasys’ reseller CADvision, and purchased its Fortus 3D Production System; within 3 months, they had 3D printed “more than 30 different production tools to facilitate the way its production line operators worked.” These included: lightweight clamps, jigs, supports, and even specially-designed tool holders to organize factory operators’ workstations. Andy Middleton, Senior VP and General Manager, Stratasys EMEA, chimed in, saying, “As exemplified at Volvo Trucks, using additive manufacturing for tooling and work-holding devices is a reliable solution for increasing efficiency in manufacturing processes. In many cases it is also the only feasible solutions as production by traditional method is limited due to cost- or design-constraints,” concludes Middleton. While 3D printing technology has already proven to be capable of improving the quality of life in developing countries – thanks programs such as the Wakati One solar-powered tent – but now a new American initiative is proving that 3D printers can actually save those lives as well. For the United States Agency for International Development (or USAID) is, together with the National Oceanic and Atmospheric Administration and a number of international partners, using 3D printing technology to build weather stations that can predict flash floods. Now flash floods can be deadly in any case, but developed countries that could be facing these floods typically implement weather stations in at-risk areas that will alert its citizens in times of trouble. Countries in the third world cannot afford these luxuries – that quickly cost tens of thousands of dollars and need to be replaced regularly – resulting in the deaths of 22,000 in 2013 alone, affecting the lives of 97 million people and causing $118 billion in damages. Fortunately this new initiative by the USAID is 3D printing weather forecasting stations for just $200 or so. Martin Steinson, a mechanical engineer has developed and 3D printed the plastic components for these low-cost weather stations. Thanks to a series of sensors, this low-budget station collects data from factors such as temperature, pressure, humidity, rainfall and wind. All that data is stored in a Raspberry Pi and sent to weather experts who can make predictions as accurately as possible. Parts for a test station being printed. It is, in short, a 3D printing project that we so many of, but USAID engineers argue that this is all that it takes to save lifes. ‘Not only can they provide countries with the ability to more accurately monitor for weather-related disasters, the data they produce can also help reduce the economic impact of disasters,’ Sezin Tokar from USAID argues. If successful, larger budgets for stronger and more efficient sensors will hopefully become available, which could even take soil samples to optimize farming yields. This remarkably simple, but potentially life-saving project is set to be showcased at the 3rd UN World Conference on Disaster Risk Reduction this week, which is held in Sendai, Japan. Once it meets international standards for safety, a series of pilot tests can be launched in one or two developing countries. As it stands, Zambia might be the first country to benefit from these low budget 3D printed weather stations. Its National Weather Service is set to receive laptops, 3D printers and all other necessary components this summer. Nobody likes to shovel snow, especially not [The_Great_Moo] of RC Snowcats. He bought a Kyosho Blizzard SR remote-controlled snowplow for himself. Its performance, however, did not impress him. 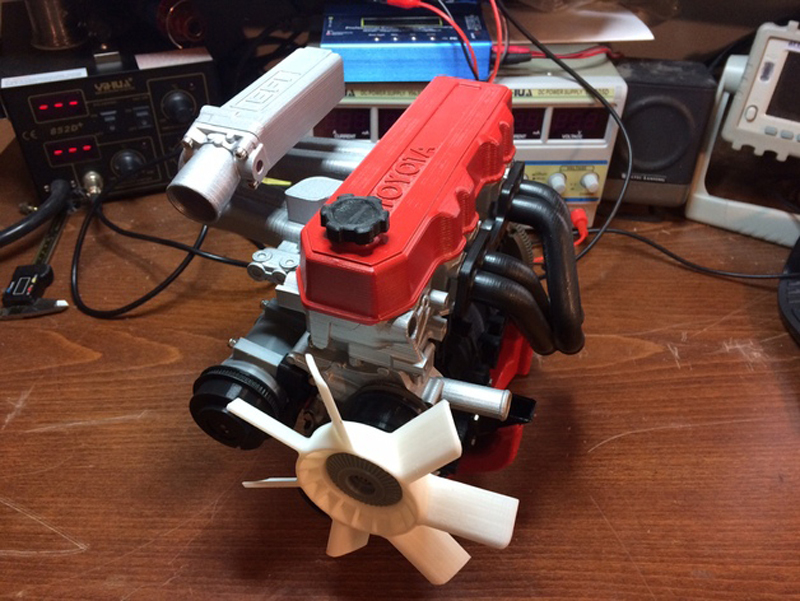 So, the crafty man opened his CAD software and readied his personally modified da Vinci 1.0 3D printer to transform his Kyosho Blizzard into a DIY snowblower. 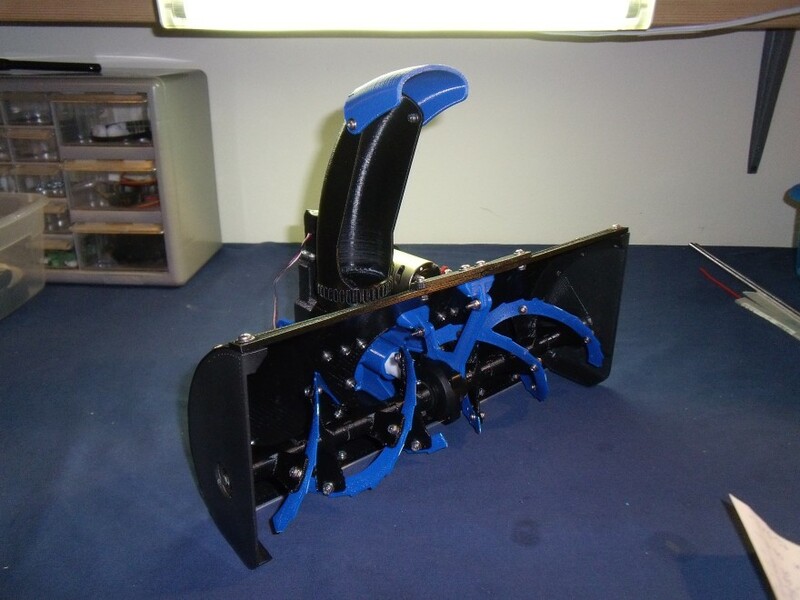 The existing chassis and treads of the Kyosho Blizzard SR made an ideal mount for a miniature snow blower. The design is layered to promote maximum strength for the ABS parts. [The_Great_Moo] claims that his fat nozzle and high-heat printing technique gives his pieces near the strength of casted ABS. The only metal structures keeping the blower together are the nuts, bolts, and a threaded rod within the auger of the plow. The timing belts, gears, and gearbox are all plastic too. Yet the question remains: Will this RC Blower move snow? Queue the footage! The detailed photoshoot for the above iteration of the blower can be found here. But the video shows a prototype which is now outdated. The updated blower and STL files are available for purchase through Spyker Workshop. So, if you already have an RC to mount this beast on, you could do it yourself. The blower is about 14” wide and perfect for when you want to sit down with your hot chocolate and make your Snowcat clear the driveway for you. When people discuss engines, they usually mention the number of cylinders, horsepower, and maybe the engine’s torque, but do they have an understanding of all of the inner workings? 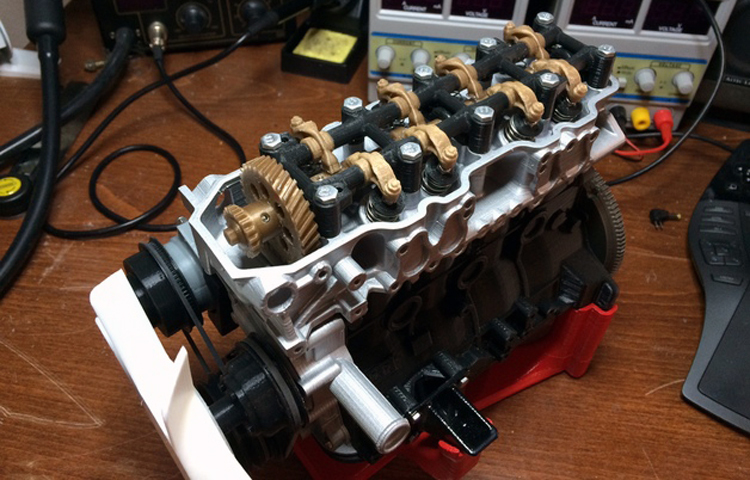 Hands-on experience is one of the best ways to understand how mechanical systems work, yet most haven’t had the opportunity to disassemble an engine, let alone build one from scratch. 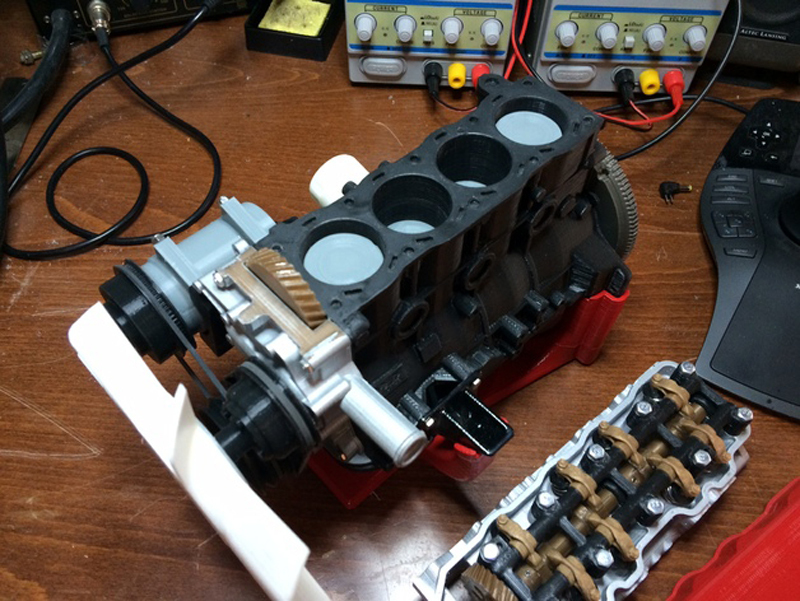 Luckily, Thingiverse user Erik Harrell has uploaded everything you need to print a working mechanical model of a Toyota 22RE engine. The 22RE was a popular 4-cylinder engine produced by Toyota from 1985-1995 that had an output of 105hp and a maximum 137lb-ft torque. Unlike the original 22R, the 22RE was fuel injected. Over time, it proved to be extremely versatile and became used in everything from Toyota’s pickup trucks to commuter cars. Even though this engine hasn’t been manufactured in twenty years, there are still plenty of replacement parts available online. Someday, however, that might not be the case. 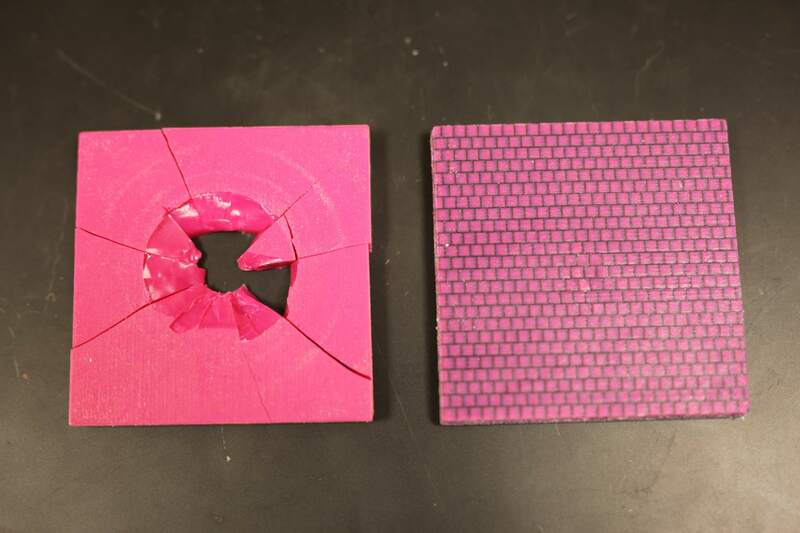 This is where 3D printing can help save the day. With castable resins, such as those offered by FormLabs and EnvisionTEC, it’s possible for people to start printing and casting their own replacements parts. We’ve already begun to see 3D printing used for replacement car parts, and the market’s only growing. Along with the STL files, Harrell also included detailed assembly diagrams for nearly every part of the engine. In order to fit on an average printbed, the files have been scaled down to 35% of their original size. However, if you have a really big printer, and lots of time, they can easily be enlarged back to their actual size. The only non-printed parts needed are bearings, fasteners, and springs. Harrell ended up making his own valve springs out of steel mig welding wire, and provides instructions to guide you through the same process. Be warned: This is a difficult print that can take well over 50 hours for all of the pieces. The parts were created with tight tolerances and printed using 0.2mm layer heights, so make sure your printer is accurately calibrated and in reliable working order before beginning. After printing all 80 components, the Harrell had gone through an entire kilogram of filament, so having a backup roll is highly recommended. The project is still listed as a “Work in Progress”, so be sure to keep an eye out for updates!